InboxGuru may be just what you’re looking for. 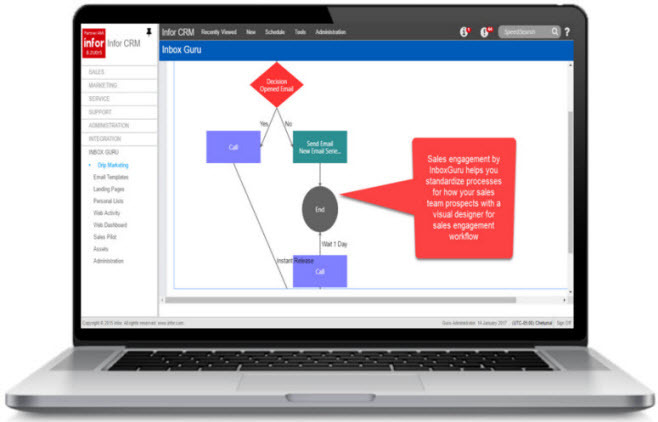 InboxGuru is the only 100% native Marketing Automation solution built exclusively for Infor CRM. Since its initial launch the team at InboxGuru has been hard at work transforming it into a “Best of Breed” marketing solution with the features you need nested right within Infor CRM, compared to other solutions that have only partial integration to Infor CRM.